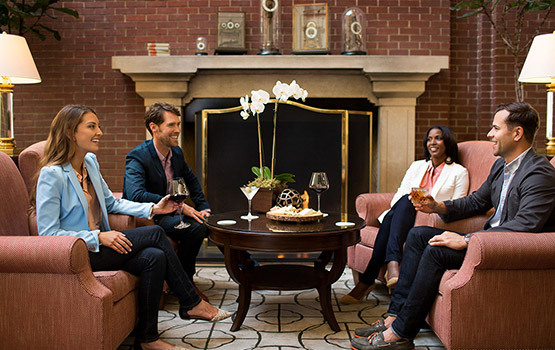 A standout among luxury Menlo Park Hotels, Stanford Park Hotel is an oasis at the crossroads of Silicon Valley innovation and influence. 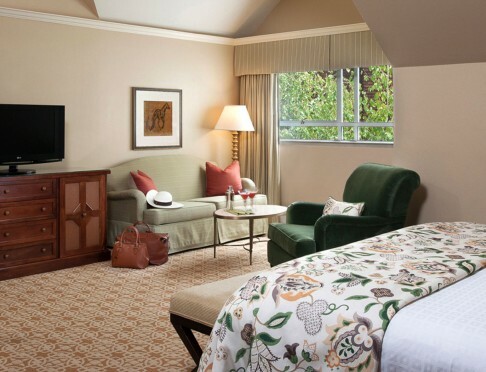 Featuring prime accommodations, delectable dining, and elevated service, you’ve discovered a luxurious escape in the heart of Menlo Park. Experience tranquility in the heart of innovation. 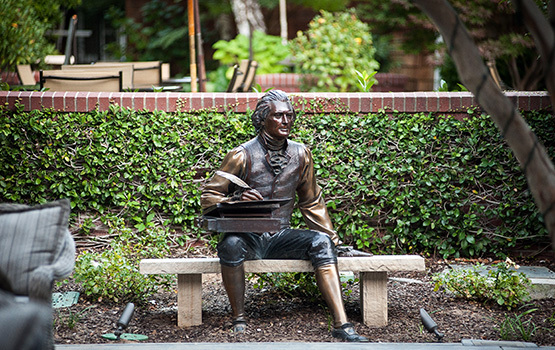 Borrow a Linus bike and ride to downtown Palo Alto or the Stanford University campus. Walk across the street to the Stanford Shopping Center, a premier open-air shopping center, or explore the area’s award-winning wineries. 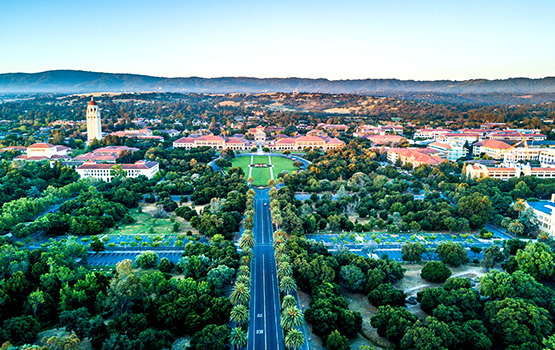 As one of the best hotels near Stanford University, Stanford Park Hotel is the ultimate choice for families of prospective applicants, incoming students, and new graduates all the same. Consider us your home away from home. Savor an espresso while sitting in a rocking chair on the front porch, work out in our spacious fitness center, or relax by our tree-lined pool and hot tub. 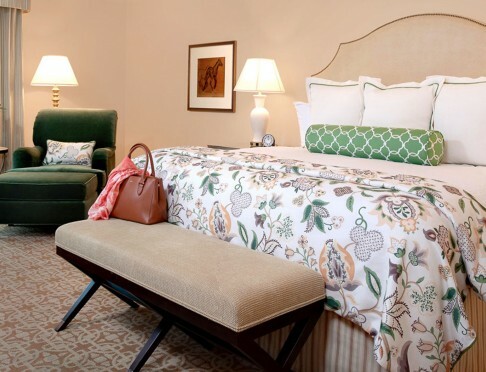 Steeped in classic collegiate spirit, Stanford Park Hotel is a true gem among Menlo Park and Palo Also hotels infused with a welcoming neighborhood ambiance, offering genuine tranquility in one of the world’s most innovative cities. 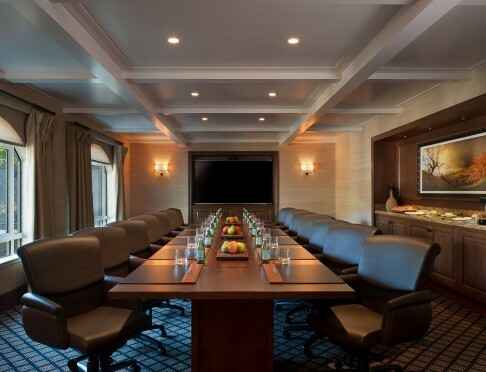 Spacious and relaxing, our two-room suites have a separate sitting room with a sofa, coffee table, flat panel television and a large desk. The ample bedroom includes a reading alcove, king bed and LCD TV. 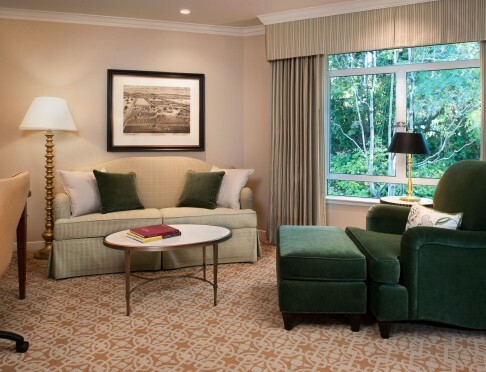 Popular with families or business travelers who want extra room, our elegant one-room Parlor Rooms are relaxing respites with nearly 600 square feet of space, including a spacious seating area with sofa, chairs and a coffee table. 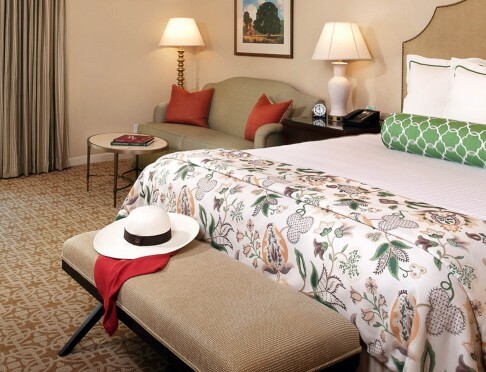 Our most popular room, our Courtyard Rooms provide serene views of our lushly landscaped courtyards, walking paths, twinkling evening lights and sculptures. 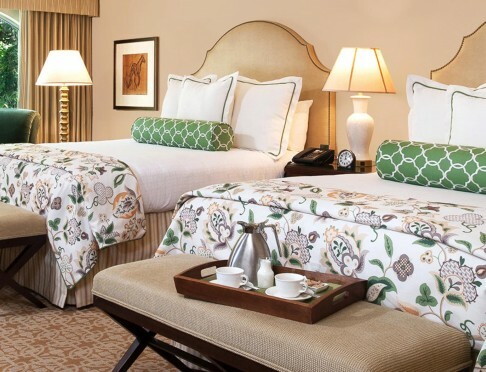 Sophisticated and elegant, our deluxe guestrooms feature a relaxing seating area with a large working desk, and your choice of one king or two queen beds. Square footage varies. 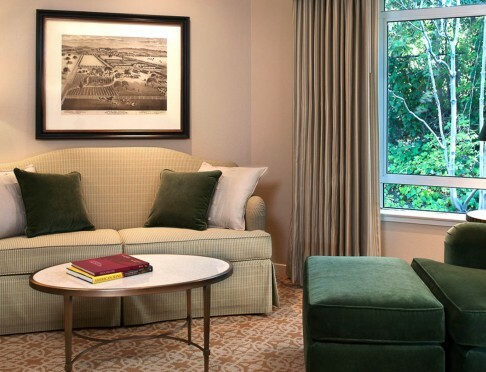 For our most discerning global guests, the Stanford Suite features a king size bed, large seating area, wet bar with wine refrigerator, dining table, original art, state-of-the-art sound system and flat panel TV. 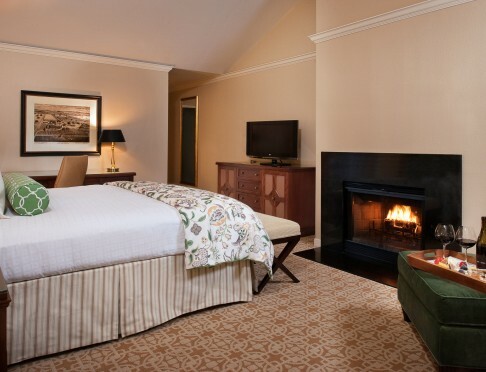 Our accessible guestrooms are functional and ADA compliant, with plush beds and elegant furnishings. 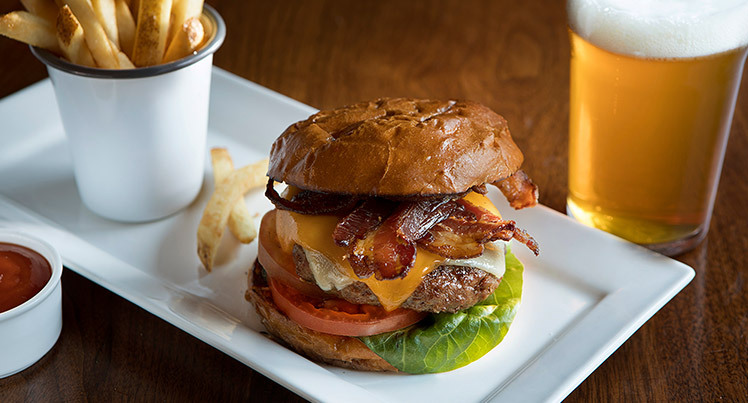 Located at Stanford Park Hotel, Menlo Tavern is a convivial restaurant and bar in Menlo Park that celebrates fine American classics and the age-old tradition of gathering over delicious food and drink. The menu features familiar favorites and sharable bites prepared with a California spirit and served with genuine hospitality. Dine outdoors on the patio, stop by for cocktails in the bar, enjoy a meal with friends in the dining room, or gather around the fire pit for dessert. There’s a place for everyone here. 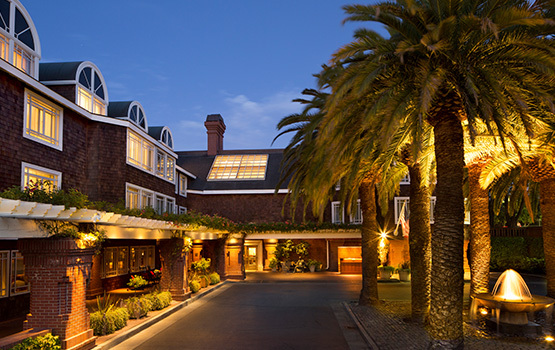 Bring your wedding or special event to the Stanford Park Hotel and experience luxury, sophistication, and warmth at a hidden gem wrapped in the charms of a famed university town. This is my favorite hotel in the Menlo Park/Palo Alto area. It has an elegance and attentiveness to detail that others lack. Rooms are comfortable, well apportioned, and the property is well located to the University, shopping, and other local venues. Staff here are exceptionally responsive to guest needs, and always willing to help out. This was our first time staying here. We are locals but we're having construction done in our home which is why we stayed here. We decided it was so nice that this is the perfect local getaway for my husband and I to come to once a month for a mini getaway. I have been to the Stanford Park Hotel many times for business trips. This last trip they gave me a nice upgrade. Everything was perfect, once again. On my third morning I had to leave at 5:30 to catch an early flight from SFO, and really appreciated the complimentary coffee next to the lobby. "Great Location and Traditional Charm"
We spent two night here for a wedding and the location, comfort, cleanliness and service were all excellent. The food service was very good and the relaxed atmosphere much appreciated. We dined on the patio for lunch and everything was at a high standard. "Perfect stay in a classic hotel"
I stayed here for one night as I was for business in the area. What a great experience! The lobby was friendly, elegant and comfortable. The staff was very attentive. 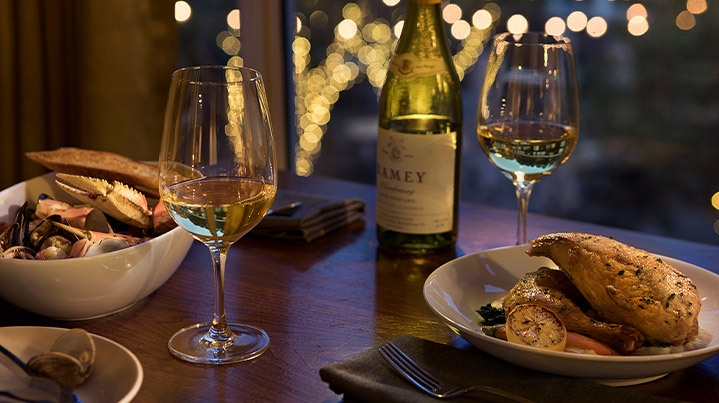 Give the gift of thoughtful service and sophisticated elegance. Our gift cards can be enjoyed at the Stanford Park Hotel and all participating Woodside hotels, restaurants and spas.